Perfect for breakfast or snacking, pamper your palate with an acai bowl topped with our Coconut and Cacao Granola. Free from dairy, refined sugar and grains, this scrumptious and simple mix of coconut, cacao, raspberries, nuts and seeds tastes like a spoonful of summer. 1. Let the frozen acai berries and banana slices sit out on the counter for 10 minutes for easier blending. 2. 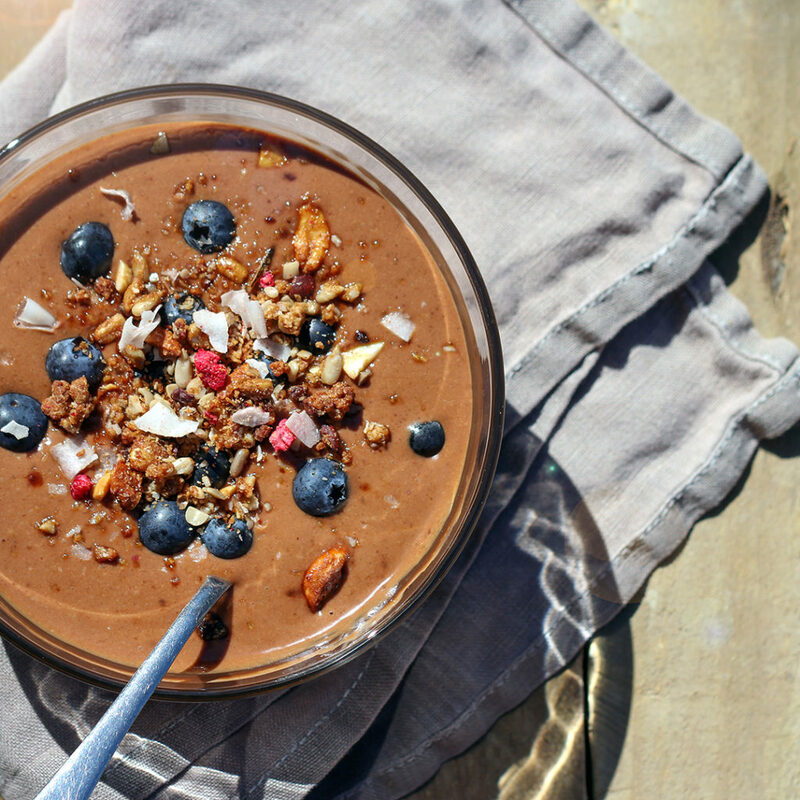 Blend the acai berries, banana, milk and blood orange juice until the mixture becomes creamy. 3. Add The Mighty Food Kitchen Coconut & Cacao Granola, the cacao powder, and blend until well combined. 4. Transfer the nice cream to a glass bowl. 5. 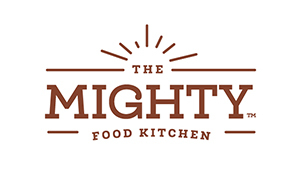 Sprinkle with The Mighty Food Kitchen Coconut & Cacao Granola, some acai berries and enjoy!